Dr. Noboru Mataga, Professor Emeritus at Osaka University and Special Researcher at Institute for Laser Technology, Osaka, passed away on January 4 at age of 83. On behalf of the Asian and Oceanian Photochemistry Association (APA), I express my hearty and sincere condolences to the late Professor Noboru Mataga’s family and all the member of Japanese Photochemistry Association for his sad decease in January 4, 2011. The late Professor Mataga was born in Masuda, Shimane Prefecture, Japan, on May 20, 1927. He attended primary and secondary schools in Shimane Prefecture and high school in Yamaguchi Prefecture. In 1948, he entered the University of Tokyo to study chemistry, and performed undergraduate research in the group of Professor San-Ichiro Mizushima, a leader in the fields of molecular structure and spectroscopy. 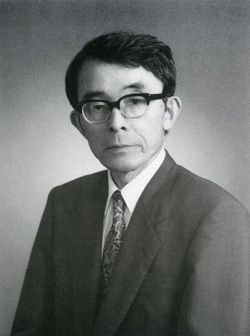 In 1951 he graduated from the University of Tokyo and joined the research group of Professor Masao Koizumi in Osaka City University as a research associate, where in 1955 he proposed the first quantitative theoretical formula for fluorescence solvatochromism as a result of seminal research on the interaction of an excited polar solute molecule with a polar solvent, which was experimentally proved by Lippert independently at the same time. Since then, the so-called Mataga-Lippert equation has been core and essential formula in studying the solvation and dipole moments of excited polar solutes and excited charge-transfer (CT) complexes, influencing research on ultrafast solvation dynamics in the excited state up to the present time. He also conducted pioneering researches on excited-state hydrogen-bonding interactions (1955), intermolecular excited-state proton-transfer reaction in hydrogen bonding complexes (1962-1964), and fluorescence quenching in hydrogen-bonded complexes of π-aromatic systems (1955-1962). These studies gave great contributions to understand many ultrafast photobiological phenomena studied later on. In 1964, he moved to Osaka University as a full professor of chemistry at Faculty of Engineering Science established in 1961, and he continued to investigate the photochemical processes and molecular interaction not only in homogeneous solvents but also in molecular aggregates and assemblies such as polymer solids, liquid crystals, membranes, and proteins by developing and applying more precise tools and methodologies including the pulsed laser systems for direct time domain measurements of reaction dynamics. He pioneered the application of time-resolved spectroscopy to measure solvent polarity effects on fluorescence spectra, yields and lifetimes of exciplex systems and CT complexes, which could be understood in terms of nonlinear interaction between solvent polarization and solute charge distribution. He also extensively investigated the photophysics of intramolecular CT process in bichromophoric molecules directly linked by a covalent bond by applying ultrafast time-resolved spectroscopy to several important prototypical intramolecular charge-transfer compounds, demonstrating solvent-induced symmetry breaking in the key symmetric intramolecular charge-transfer compound. These pioneering works led to a detailed understanding of the role of energetics, solvation dynamics, and solute structure on the dynamics of charge transfer. Through these research works in Osaka University, he had trained more than eighty graduate students until his retirement in 1991, more than 25 of which are working in universities and National Institutes. After retiring from Osaka University in 1991, Professor Mataga moved to the Institute for Laser Technology in Osaka, and he actively extended his investigations on the excited-state molecular interactions and reaction dynamics to the effects of photoresponsive protein environments (protein nanospace, PNS) on biological systems by employing femtosecond time-resolved fluorescence spectroscopy. His many outstanding scientific accomplishments obtained over fifty years are tremendously influential in the field of photochemistry, photophysics, laser spectroscopy and photobiology, and he was recognized world wide as he received the Porter Medal award in 1996 and dedication of Noboru Mataga Festschrift of J. Phys. Chem. A (2002) as well as Purple Ribbon Medal from Japan Government (1995) and Japan Academy Prize (2006). Professor Mataga was very strict and accurate in scientific activities, but he was gentle and friendly in usual life, and he has been respected by so many people. He has been also paying much attention to promote the photochemistry by attending ceaselessly many international photochemistry conferences including the Asian Photochemistry Conference, encouraging many younger scientists and scholars working in the field of photochemistry in Asia and Oceania. Thus, he has been a great pride of the younger scientists in the Asian and Oceanian photochemistry community as well as in the Japanese chemistry community, and his death is our great loss. However, I believe that his scientific tracks can be found in many journals and literatures so that we can meet him forever. The funeral ceremony was held on 6th of January 2011. He left his wife Mrs. Shizuyo Mataga with one son (Jun). Mrs. Shizuyo Mataga has been not only his wife but also his research collaborator as a Doctor of Science, who published several papers coauthored with him in the name of Shizuyo Tsuno or Shizuyo Mataga, her grief must be deeper than any others bereaved. Again, on behalf of APA, I wish his soul may rest peacefully, and all the APA members will remember his great scientific achievements and leadership forever. The Chemical Society of Japan Award. Purple Ribbon Medal from Japan Government for academic contributions. Noboru Mataga Festschrift in The Journal of Physical Chemistry. The Order of the Sacred Treasure, Gold Rays with Neck Ribbon. Asian and Oceanian Photochemistry Association, and others. Photochem. Photobiol., J. Phys. Chem., Chem. Phys., Laser Chem., Z. Physik. Chem., Progress in Reaction Kinetics, and others. The Solvent Effect on Fluorescence Spectrum. Change of Solute-Solvent Interaction During the Lifetime of Excited Solute Molecule. N. Mataga, Y. Kaifu, and M. Koizumi, Bull. Chem. Soc. Jpn., 28, 690 (1955). Equilibrium of Hydrogen-Bond Formation in the Excited State. N. Mataga, Y. Kaifu and M. Koizumi, Nature, 175, 731 (1955). Solvent Effects upon Fluorescence Spectra and the Dipole-moments of Excited Molecules. N. Mataga, Y. Kaifu, and M. Koizumi, Bull. Chem. Soc. Jpn., 29, 465 (1956). Electronic Structure and Spectra of Some Nitrogen Heterocycles. K. Nishimoto and N. Mataga, Z. Phys. Chem., N. F., 12, 335 (1957). Adiabatic and Non-adiabatic Electron Transfer Mechanism of Fluorescence Quenching. N. Mataga, K. Ezumi, and K. Takahashi, Z. Phys. Chem. N. F., 44, 250 (1965). Excitation Transfer from Pyrene to Perylene by Very Weak Interaction. An Accurate Experimental Verification of Förster's Mechanism. N. Mataga, H. Kobashi, and T. Okada, Chem. Phys. Lett., 1, 119 (1967). Electron Donor-Acceptor Interactions in the Fluorescent State of Tetracyanobenzene-Aromatic Hydrocarbon Complexes. N. Mataga and Y. Murata, J. Am. Chem. Soc., 91, 3144 (1969). Fluorescence Spectra and Excited Singlet-Singlet Absorption Spectra of s-Tetracyanobenzene EDA Complexes by Laser Excitation. H. Masuhara and N. Mataga, Chem. Phys. Lett., 6, 608 (1970). Time-Resolved Fluorescence Studies on Charge Transfer Inter-actions in s-Tetracyanobenzene-Toluene Complex. K. Egawa, N. Nakashima, N. Mataga, and C. Yamanaka, Bull. Chem. Soc. Jpn., 44, 3287 (1971). Intramolecular Electron Donor-Acceptor Interactions in the Excited State of (Anthracene)-(CH2)n-(N,N-Dimethylaniline) Systems. T. Okada, T. Fujita, M. Kubota, S. Masaki, N. Mataga, R. Ide, M. Sakata, and S. Misumi, Chem. Phys. Lett., 14, 563 (1972). Picosecond Flash Spectroscopy of Solvent-Induced Intramolecular Electron Transfer in the Excited 9,9'-Bianthryl. N. Nakashima, M. Murakawa, and N. Mataga, Bull. Chem. Soc. Jpn., 49, 854 (1976). Picosecond Time-Resolved Observation of Photoinduced Charge Separation from the Singlet Excited State of Porphyrin- Quinone Model Systems. M. Migita, T. Okada, N. Mataga, S. Nishitani, N. Kurata, Y. Sakata, and S. Misumi, Chem. Phys. Lett., 84, 263 (1981). Electron Photoejection from the Relaxed Fluorescence State of Bis(dimethylamino)- tetrahydropyrene in Acetonitrile Solution. Importance of Solute-Solvent Exciplex Interactions. Y. Hirata, N. Mataga, Y. Sakata, and S. Misumi, J. Phys. Chem., 86, 1508 (1982). New Energy Gap Laws for the Charge Separation Process in the Fluorescence Quenching Reaction and the Charge Recombination Process of Ion Pairs Produced in Polar Solvents. T. Kakitani and N. Mataga, J. Phys. Chem., 89, 8 (1985). The Bell-Shaped Energy Gap Dependence of the Charge Recombination Reaction of Geminate Radical Ion Pairs Produced by Fluorescence Quenching Reaction in Acetonitrile Solution. N. Mataga, T. Asahi, Y. Kanda, T. Okada ,and T. Kakitani, Chem. Phys., 127, 249 (1988). Charge Recombination Process of Ion Pair State Produced by Excitation of CT Complex in Acetonitrile Solution - Essentially Different Character of Its Energy Gap Dependence from That of Geminate Ion Pair Formed by Encounter between Fluorescer and Quencher. T. Asahi and N. Mataga, J. Phys. Chem., 93, 6575 (1989). Femtosecond-Picosecond Laser Photolysis Studies of the Ion Pair Formation Process in the Excited State of the Charge-Transfer Complex in Solution. H. Miyasaka, S. Ojima, and N. Mataga, J. Phys. Chem., 93, 3380 (1989). Femtosecond-Picosecond Laser Photolysis Studies on the Mechanisms of Electron Transfer Induced by Hydrogen Bonding Interactions in Nonpolar Solution-1-Aminopyrene-Pyridine Systems. H. Miyasaka, A. Tabata, K. Kamada, and N. Mataga, J. Am. Chem. Soc., 115, 7335 (1993). Electron Transfer and Exciplex Chemistry. N. Mataga and H. Miyasaka, Adv. Chem. Phys., 107, 431 (1999). Effects of Modification of Protein Nanospace Structure and Change of Temperature on the Femtosecond -Picosecond Fluorescence Dynamics of Photoactive Yellow Protein. N. Mataga, H. Chosrowjan, Y. Shibata, Y. Imamoto, and F. Tokunaga, J. Phys. Chem. B, 104, 5191 (2000). First Unequivocal Observation of the Whole Bell-Shaped Energy Gap Law in Intramolecular Charge Separation from S2 Excited State of Directly Linked Porphyrin-Imide Dyads and Its Solvent Polarity Dependencies. N. Mataga, H. Chosrowjan, Y. Shibata, N. Yoshida, A.Osuka, T. Kikuzawa, and T. Okada, J. Am. Chem. Soc., 123, 12422 (2001). Ultrafast Charge Separation and Radiationless Relaxation Processes from Higher Excited Electronic States of Directly Linked Porphyrin-Acceptor Dyads. N. Mataga, S. Taniguchi, H. Chosrowjan, A. Osuka, and N. Yoshida, Photochem. Photobiol. Sci., 2, 493 (2003). Low Frequency Vibrations and Their Role in Ultrafast Photoisomerization Reaction Dynamics of Photoactive Yellow Protein. H. Chosrowjan, N. Mataga, S. Taniguchi, M. Unno, S. Yamauchi, N. Hamada, M. Kumauchi, and F. Tokunaga, J. Phys. Chem. B, 108, 2686 (2004). Ultrafast Charge Transfer in the Excited Electronic States and Investigations into Fundamental Problems of Exciplex Chemistry: Our Early Studies and Recent Developments. N. Mataga, H. Chosrowjan, and S. Taniguchi, J. Photochem. Photobiol. C (Photochemistry Reviews), 6, 37 (2005). And some 550 papers and reviews.